Nearly everyone seems to be connected to Facebook, Twitter, or some other social media network these days. While they can be a great tool for keeping in touch with loved ones, these sites can also lead to pain or frustration for some. Read about how social media can be harmful at times. If you read the last article on anxiety in kids and teens, you should have a good idea of social phobia and OCD in younger populations. This article will focus on anxiety conditions such as panic disorder, PTSD and generalized anxiety disorder in children and teens. Parents want to protect their children as much as possible. 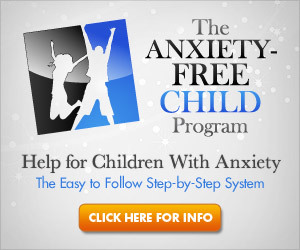 But how do you protect a child from an anxiety disorder? Find out about some of the anxiety conditions which are prevalent in children. If you are a parent with an anxiety disorder, you may wonder how your condition can affect your child. A long-term study of parents with anxiety and their children offers more information about the topic. Find out what the researchers learned here. When studying teen depression, many mental health workers are starting to ask questions about anxiety, as well. There are actually a number of adolescents who suffer from both disorders. Read more about how this can affect them here. You may know that cognitive-behavioral therapy can be very effective for adults and for children struggling with anxiety or other disorders. But did you know that parents can also have an effect on how well CBT works for a child? Read about it here.